Many months ago, Cody predicted through his all-seeing eye (and some strings in the app teardown, but I prefer to think of Cody's powers as absolute magic - is there a thing the guy doesn't know beforehand?) 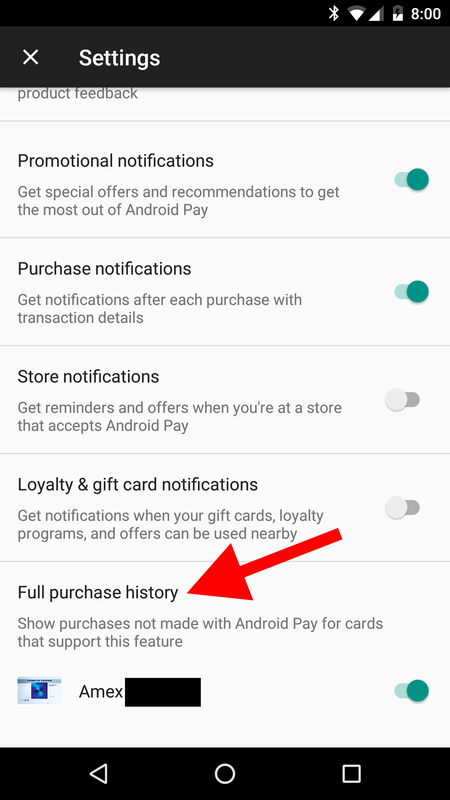 that the Android Pay app would start showing full transaction histories on your supported cards, even for those transactions where Pay wasn't used. Now it looks like the option has started showing up through a server-side switch as reported by u/shiruken. 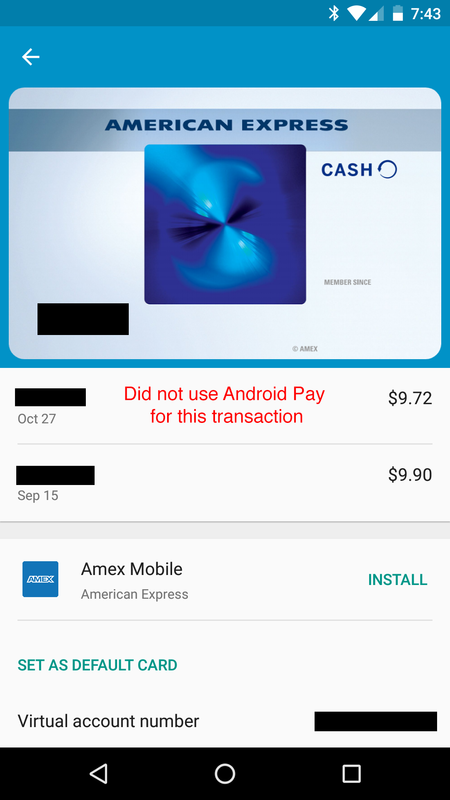 There's a toggle to enable or disable the option for supported cards in the Android Pay app, and when enabled, it will display all your transactions on that card, regardless of how the transaction was performed: Pay, the card itself, or some other medium. 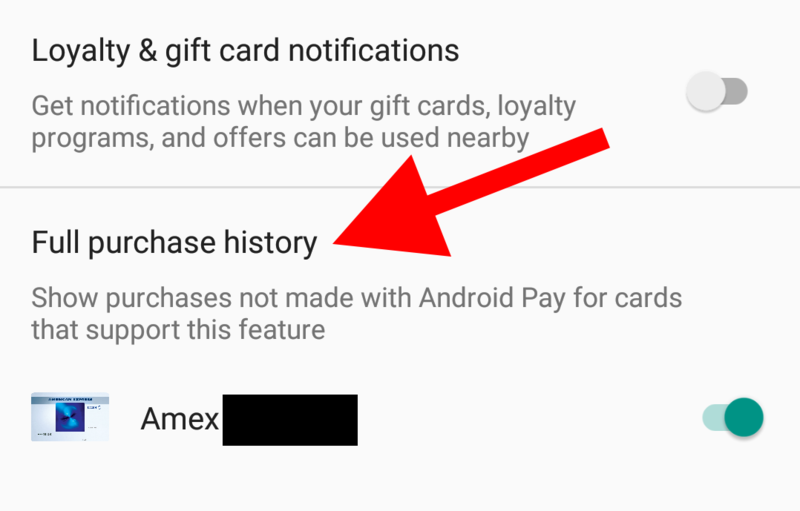 That could come in handy if you don't want to install a separate app or go through your bank to check the history or your transaction or the details of a recent one. It's also worth noting that Samsung Pay already offers the same function. The feature seems to be a server-side rollout right now, as not everyone has this toggle in settings yet. It wouldn't hurt to grab the latest version from APK Mirror though if the Play Store hasn't shown an update for you yet.